What Is Dabbing And How Do You Consume Dabs? The latest craze in the rush to create the most intense smoking experience is dabbing. What is dabbing? If you aren’t well entrenched in the cannabis scene, dabbing isn’t all that intuitive. In the world of cannabis, dabbing has nothing to do with the dance craze. 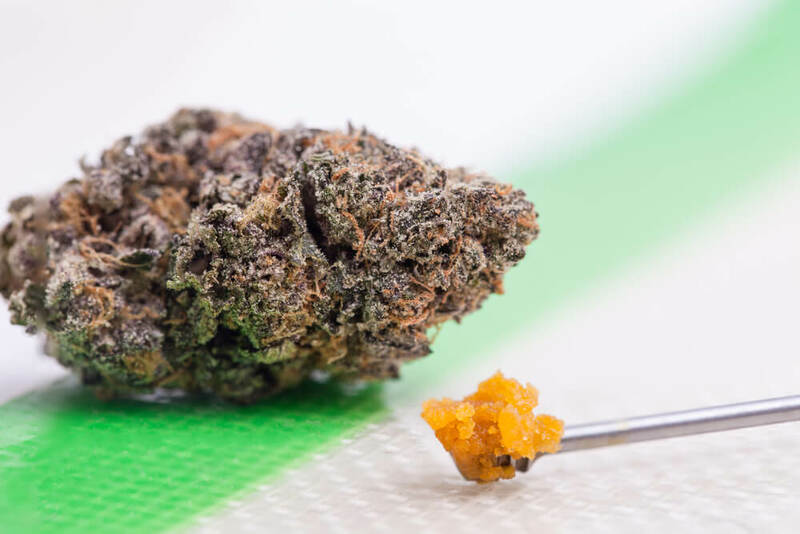 Dabbing is all about highly potent cannabis concentrates and getting as high as humanly possible (or if you are a medical patient, it’s about getting the relief you need as fast as possible). For the uninitiated, this is an in-depth guide to all things dabbing. It will cover all your dabbing questions. If you’ve ever wondered, “What is Dabbing?” Or “How to dab?” This guide is a good place to start. We’ll also cover the risks and benefits to dabbing, and the tools you’ll need to get started. Welcome to Dabbing: 101. The Basics – What is a Dab? While we won’t get into the dirty details of all-things dab related, a dab is a single dose of highly-concentrated cannabis heated to a very high temperature and inhaled. 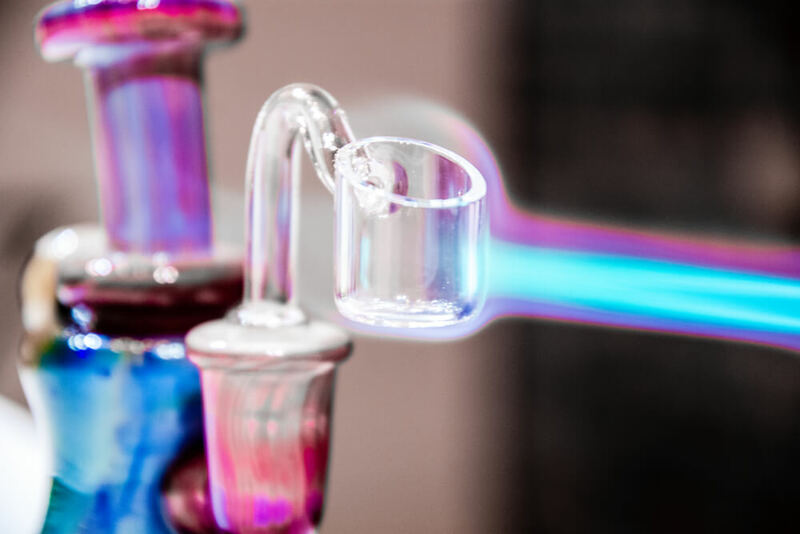 Typically a user will pre-form the dab, into a single dose based on personal preference, and “dab” it on to the head of a super-heated tool called a nail. The nail part of the process may have originated from people actually using metal construction nails to heat the concentrate. Today nails are a specialty crafted tool. The nail heats the concentrate to its smoking point, which you then inhale through a dab rig. Dab rigs, like dab nails, are also getting increasingly complex as the culture of dabbing evolves. Most dabs are various types of butane honey oil (BHO), a concentrate created by using a petrochemical solvent. 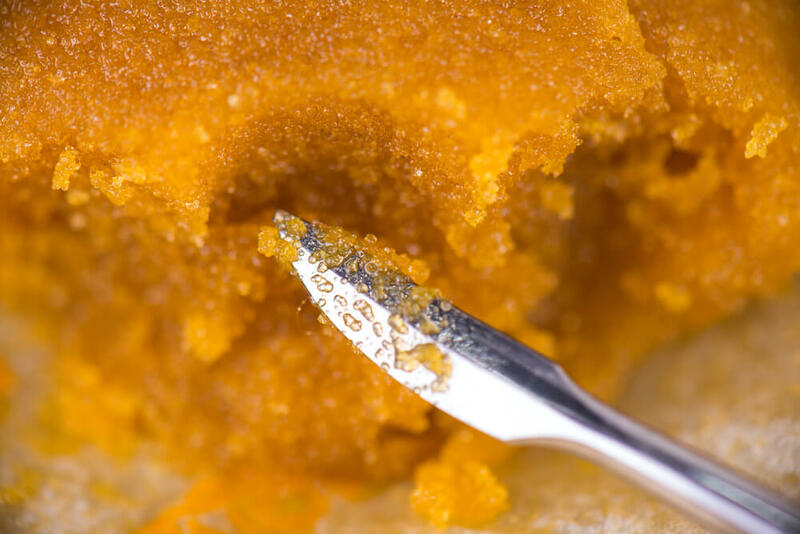 There are a thousand and one names for the various types of BHO concentrates, including oil, honey, shatter, budder, wax, and more. The consistency varies from a hard, glass-like substance which can literally shatter, to a spreadable, honey-like consistency. If you prefer a cleaner dabbing experience, look for CO2 extractions and rosin. Both types of concentrate don’t use any solvents to create a highly-potent concentration of cannabinoids – perfect for a cleaner dab. What’s the Difference Between Dabbing and Smoking Flower? If you’ve been smoking joints your entire life, approach dabbing with caution. Dabbing is not for the faint of heart and has often sent the novice dabber over the edge. Many first-time users have ended up greening out, expecting the dabbing experience to be just like a massive rip from a bong. What is a dab? It is absolutely, much stronger than even the most potent pull from a bubbler or bong. 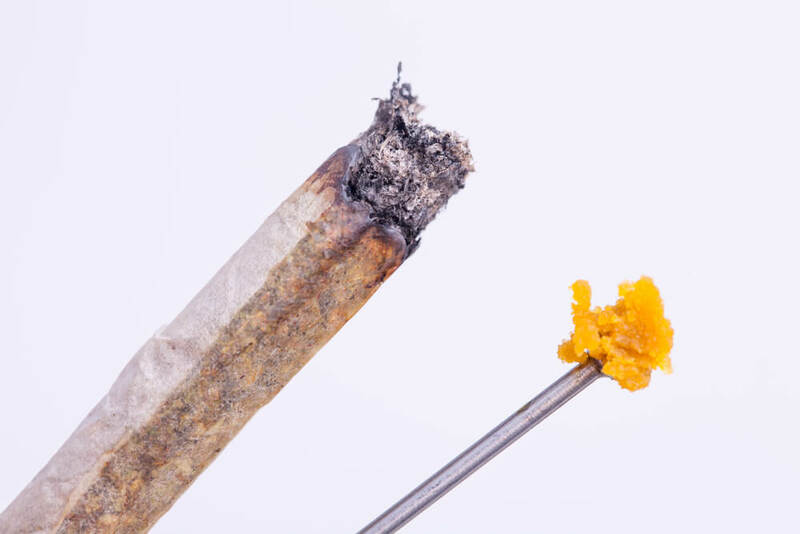 Because dabs and joints vary widely in size, its hard to pinpoint exactly how much THC you’ll get from one inhale from a joint, compared to a dab. Raw cannabis flower typically contains 10 to 30 percent THC, depending on the strain. Even the highest potency fresh flower pales in comparison to BHO. Routinely, BHO tests between 60 to 90 percent THC. That’s approximately three to nine times more potent than you’d expect from a joint. Because dabs are highly concentrated, they deliver more medicinal (and recreational) punch than smoking buds. A dab is a delicious reduction of cannabinoids and terpenes found in the raw cannabis flower. While dabbing is technically still considered smoking, it also reduces a significant level of organic particulate matter going straight into your lungs. Many people find dabbing a cleaner and tastier experience. Dabbing is also different from smoking raw bud because of the tools required. You can’t just roll up a blunt filled with concentrate, or pack a bowl of BHO. Instead, you need to make a small investment in the hardware. A nail, a rig, and a few other tools are required before you can start dabbing. What Tools do you Need to Dab? 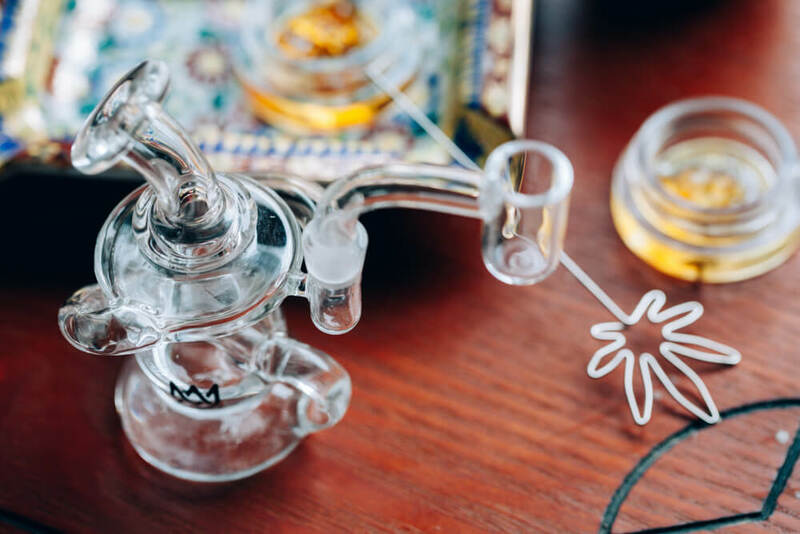 Dabbing is not as complicated as the over-the-top dab rigs make it seem. Watch one youtube video about dabbing, and you would be forgiven if you thought it seemed to be an overly complicated way of smoking weed. But, underneath the expensive setups, and the over-the-top rigs, dabbing isn’t that complex. Here are the basic tools of the trade. There are two different kinds of dab nails, but they both serve the same purpose. The simplest nail needs to be heated up, while the more advanced version is self-heating. There are also metal nails, glass nails, and quartz nails. Each has slightly different heating processes. Technically, if you don’t want to invest in any of the dab specific tools, you can use any long metal tool, like a paperclip or the end of a spoon. The dab nail, whatever device you choose, is the part of the rig which you heat up, and place the dab on to. Dab rigs can be as simple or as complicated as you want. They range in price from the budget models, usually around $20, to well over a thousand. The rig is the device which holds your nail in place for heating, and through which you inhale the potent smoke. The cap traps the vapor released from the dab back into the rig. Instead of rising straight up and into the atmosphere, a cap captures the smoke, which you then inhale through the rig. Again, they can be as basic or as lavish as you’ve got the funds for. Use a spoon if you’ve got nothing else handy. There is such a thing as a self-heating nail, but most first-timers rely on the good old fashioned blow torch. There are many discrete and more aesthetically pleasing varieties available at your dispensary, but a small handheld blow torch from your local hardware store also works. It’s likely much cheaper as well. While not always required, some people prefer to purchase a banger to separate the nail from the rig itself. Because nails often reach such high temperatures, it’s a good idea to separate the rig from the high-heat of the nail. A banger attachment also has a larger surface area to place the dab, which lets you evaporate more concentrate from a single dose. Yes, a complete dab kit looks a bit more involved than a blunt paper and a filter, but again it doesn’t have to be. There are many, one-handed, devices like dab vaporizers, which take the nail, banger, and cap out of the equation. If you really want to avoid shelling out your cold hard cash on the entire dab kit, a spoon becomes your new favorite multipurpose dabbing tool. How to Prepare for your First Time Dabbing? Lay out everything you plan on using for your first time dabbing in front of you, preferably on a silicone mat. Don’t forget the blow torch. If you are using a banger, place it on to the dab rig. Form a small ball of wax, the smaller the better for your first experience. Remember, it’s much easier to take another hit than it is to undo one. First-time dabbing? Don’t overdo it; take it easy. Heat the nail using the blow torch for between 30 to 40 seconds. 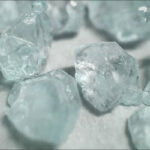 Let the nail cool for 15 to 30 seconds (this depends on the material of the name, and the type of concentrate). Swirl around to evaporate as much as possible in a short period of time. Cap the banger, and continue to inhale. Release and breathe out once all vapors have been inhaled. Get ready to get baked! 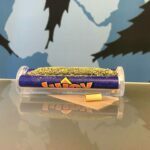 Clean Smoking Experience: Smoking raw flower remains one of the most popular ways to consume cannabis, but it isn’t always the cleanest. Smoking flower is a process of incineration. The incinerated organic plant material produces thick smoke, filled with tiny particulate. This particulate eventually finds its way into your lungs and destroys the nuanced flavor profile of a juicy nug. Smoking a concentrate, especially one produced in a modern facility capable of preserving terpene content, is a much cleaner experience. There is less material to burn, and less smoke inhaled. The terpenes shine through much more than when smoking raw flower. More Medicinal Benefit: Sometimes a toke from a joint isn’t enough to dull the pain. Smoking concentrates is an excellent way to increase the medicinal benefit of the cannabinoids and terpenes, without smoking yourself silly. Dabbing delivers a powerful hit of medicine, immediately. For many who suffer from chronic pain and other serious illnesses, this is one of the only ways they can effectively reduce their symptoms. Dabbing is also helpful because, in one small dose, it provides relief, instead of having to smoke an entire blunt before the effects take hold. More Flavor: As mentioned, a concentrate preserves the delicate flavor profile of the terpenes. If you smoke the same strain of cannabis in a joint and in a dab, you’ll suddenly pick up many underlying flavors which you might have missed in the joint. Some concentrates remove much of the terpenes, but a CO2, rosin or other low-temperature extraction guarantees full flavor from start to finish. A Better High: People who dab do so because of the high. The high from dabbing is crisper than one from an edible or a bong rip. Its cleaner, clearer, and generally better overall. Dabbing is a way to truly experience the differences in strain because it’s not clouded by smoke so to speak. You’ll feel the full uplifting and social experience of a sativa and the euphoric relaxation from an indica. Speed and Efficiency: Once you’ve got your dab rig set up, taking a dab is a much faster way to get high then having to roll a joint or pack a bowl. It’s efficient. No need to grind, pack, or roll your way into euphoria. One dab, and you are done. The speed and efficiency of dabbing are especially apparent when you use a vape pen or nectar collector. The ‘dab’ isn’t even required. A wise man once said, “All things in moderation.” That is a good rule to live by with all intoxicants, including when it comes to dabbing weed. Is dabbing dangerous? It depends on who you ask, as the media and many parents have painted the dabbing phenomena with a dark and dangerous brush stroke. Are their concerns legitimate? Many of the concerns around dabbing are about whether or not it can trigger psychosis in young adults. But, it’s not so much about the activity of dabbing, but more about the potency. For the last few decades, researchers and cannabis enthusiasts have been arguing over whether cannabis causes psychological issues, or if the psychological problems were already present. 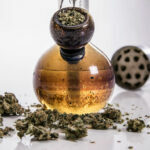 According to the most up to date data on the subject, researchers believe “Cannabis use is likely to increase the risk of developing schizophrenia and other psychoses; the higher the use, the greater the risk.” But in other cases, “In individuals with schizophrenia and other psychoses, a history of cannabis use may be linked to better performance on learning and memory tasks.” Clearly, it’s a confusing area of cannabis research with no clear answers. Because dabbing is that much more powerful than a regular joint or blunt, anyone with a history of schizophrenia and psychoses may want to avoid dabbing altogether. Even if you have a history of schizophrenia in your family, it may be best to restrain from the activity. If you do choose to smoke weed despite your history, aim for lower THC strains, with high levels of CBD to counteract psychoactive characteristics. If you can’t handle the intense high of a potent THC dab, cannabidiol (CBD) dabs exist. Cannabidiol is another medicinal compound in cannabis, but unlike THC it doesn’t cause any high. At most, it induces a deep state of relaxation, but no altered state of reality. There is no way to green out from CBD as you might from too many dabs. What is dabbing CBD if you don’t get any recreational high from it? Just like all the other valuable cannabinoids in marijuana, CBD also has many proven medicinal benefits. In fact, the FDA just approved the first ever marijuana medicine in the US for the treatment of epilepsy, and it was CBD. This non-psychoactive compound is useful for fighting inflammation, stress, anxiety, epilepsy, and multiple sclerosis, among many, many other health issues. 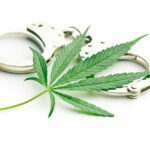 It also is available legally, even in states which oppose medical marijuana. CBD isn’t just found in weed, it’s also found in hemp plants. Hemp is entirely legal in the U.S and most countries around the world. If you want to smoke hemp-sourced dabs, you won’t be crossing any legal lines. Pure CBD concentrates can be more challenging to find, especially if you are looking for hemp-sourced ones. They are in high demand and considered a specialty product, so ask at your local dispensary. Pure CBD dabs are upwards of 99 percent pure isolates, but unlike a regular THC laden dab, the potency won’t trigger any unwanted effects. Because there is no high from dabbing CBD, it is strictly a therapeutic activity. If you already use CBD for the treatment of anxiety, stress and other issues, you’ll know that some products have relatively low potencies. This is not so with CBD dabs. You’ll quickly get your dose through one, maybe two hits. Dabbing, in short, has developed into a popular and potent method of smoking weed. It’s not for the faint of heart, but if you can handle the heady-experience, it delivers a clean, tasty, high. Whether you choose to stick with the essential equipment or decide to go all out on a thousand dollar rig, the dabbing experience is a novel way to make the most of our your stash of concentrate.